LG had debuted its “FullVision” display concept with its first flagship launch of the year; LG G6. The G6 was the first smartphone in the world to feature a revolutionary 18:9 aspect ratio for the express purpose of making the most out of the limited real estate for displays in a smartphone. And now barely a couple months into 2017, it is amply clear that displays are going to dominate the front of smart devices and thus we will see an increased use of this aspect ratio going forward. Keeping this in mind, the Korean electronics behemoth has gone forth and announced the LG Q series handset. 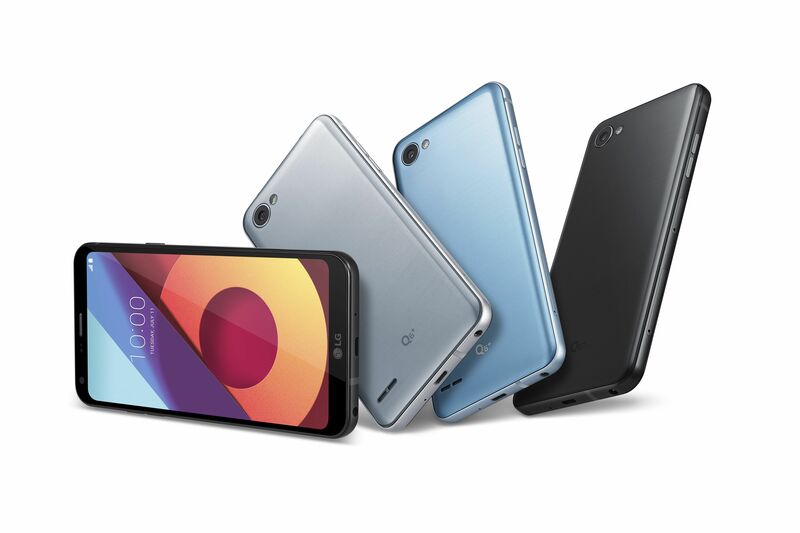 Instead of trying to condense the G6 into a cheaper handset(s), LG has launched the Q range of premium mid-range smartphones to bring its FullVision concept to the masses. The focus has been on the displays instead of the internal hardware, available in three variations, the LG Q6 is the middling offering with the LG Q6+ above and LG Q6α bringing up the rearguard. All three Q series smartphones come with a 5.5-inch FullVision display with a higher than full-HD resolution of 1080 x2160 pixels with the same look up front as the flagship G6. Furthermore, all three handsets are running on a Qualcomm Snapdragon 435 chipsets while being powered by a 3000mAh battery. The handsets also share the 13-megapixel shooter at the back with selfie duties handled by a 5-megapixel sensor up front with a wide-angle 100° Field of View. Due to their positioning as a premium mid-range handset, the LG Q range of handsets have their chassis’ made of 7000 series aluminium. Also, the entire range of handsets is running Android v.7.1.1, Nougat. All handsets will be available is Astro Black and Ice Platinum finishes, with the Q6+ getting an exclusive Marine Blue paint job. 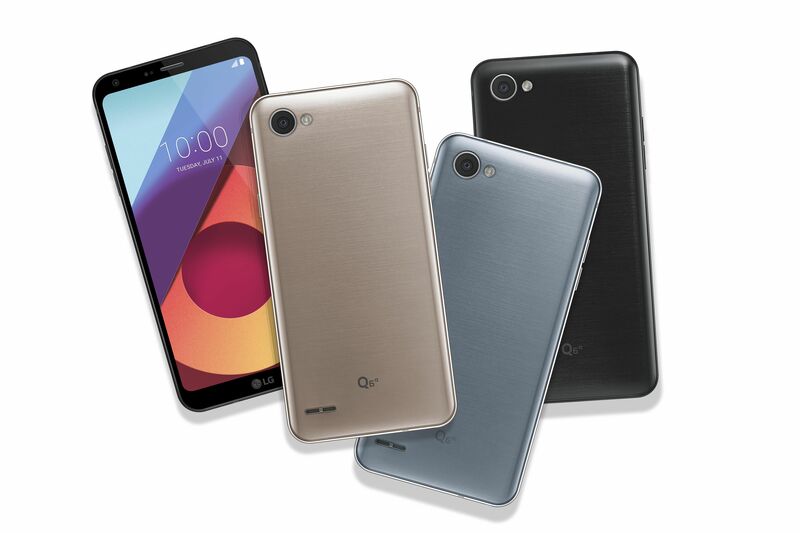 The LG Q6 is available in a Mystic White and Terra Gold finish while the Q6α just gets the Terra Gold livery. For connectivity purposes, the handset supports networks up to 4G-LTE bands, WiFi 802.11 up to standard n, Bluetooth v.4.2, GPS and features an NFC module. On the hardware connectivity front, the smartphone boasts of a 3.5mm audio jack and microUSB connector. In a surprise move the device supports Facial Recognition to unlock the smartphone but as we have reported earlier, the technology is yet to mature to the point of becoming secure enough to use standalone. Currently, the company has not provided any details regarding the price of the handsets or how is its release planned but it is safe to assume that the devices would first land in Asia, followed by Europe, Latin America and then the rest. How to enable the Hidden reading mode on your Chrome browser in Android.